Coriander, like many spices, contains antioxidants, which can delay or prevent the spoilage of food seasoned with this spice. Chemicals derived from coriander leaves were found to have antibacterial activity against Salmonella choleraesuis. Coriander seeds are used in traditional Indian medicine as a diuretic by boiling equal amounts of coriander seeds and cumin seeds, then cooling and consuming the resulting liquid. In holistic and traditional medicine, it is used as a carminative and as a digestive aid. Coriander has been documented as a traditional treatment for type 2 diabetes. 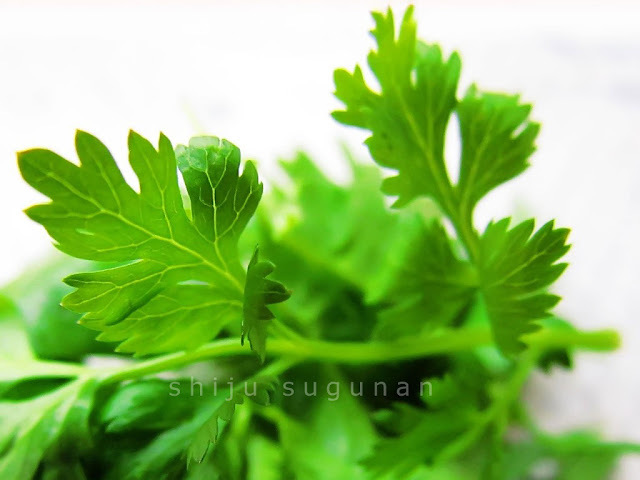 A study on mice found coriander extract had both insulin-releasing and insulin-like activity. 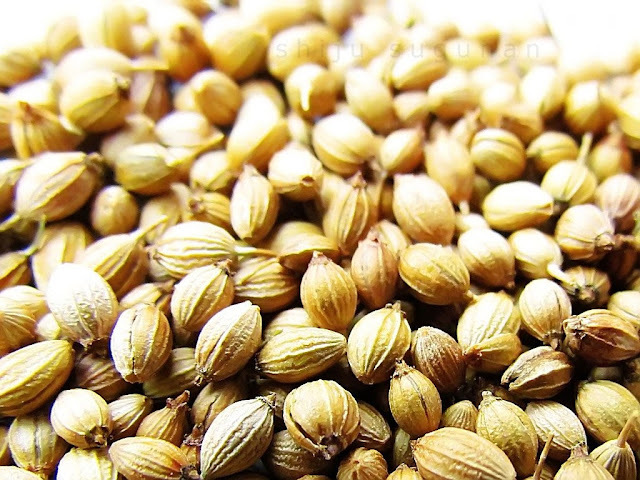 Coriander seeds were found in a study on rats to have a significant hypolipidaemic effect, resulting in lowering of levels of total cholesteroland triglycerides, and increasing levels of high-density lipoprotein. This effect appeared to be caused by increasing synthesis of bile by the liver and increasing the breakdown of cholesterol into other compounds. The essential oil produced from Coriandrum sativum has been shown to exhibit antimicrobial effects. Visit the wikipedia page to know more. Wow! What clarity? So well written too! The information is sourced from wikipedia. Those tiny little flowers looked so cute. I love the cilantro flavor on many dishes. Thanks for posting photos of the flower. I really didn't see cilantro flowers until now. Thanks for all the information on the plant. Lovely photos. I didn't know coriander have beautiful flowers. Glad you decided to share it on Orange you glad it's Friday. Thanks for joining and I hope to see you again next weekend. Very informative and good photos. Beautiful flowers, so tiny, dainty and delicate. I like the little details in that first shot. We grew some Cilantro this summer but when it went to seed we threw the plant out. Guess I won't do that next year now that I know that they can be used as spices. I never would have dreamed that such an everyday herb could be so beautiful. The first two shots have a wonderful "dreamy" effect. Awesome details in the first shot! I don't think I've ever seen a coriander flower before. wonderful, the photographs, the information, the entire post!! just remarkable!! This post is as helpful and informative as it is beautiful! Gorgeous flower art! Bonnie has said just what I was going to say. Beautiful flower, great photography and full of great information. I never knew coriander flowered! Neat-o! 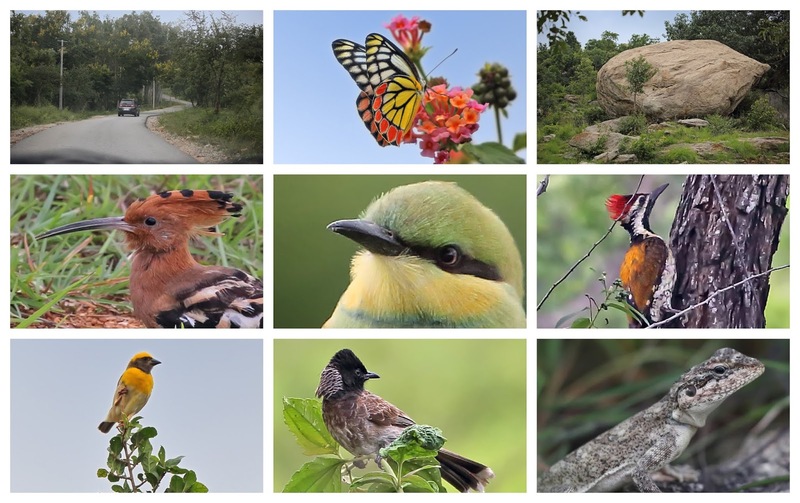 Thank you for sharing this wonderful post, so interesting and your photos are gorgeous! Amazing macro's! wow, i didn't know cilantro's flowers are so pretty in macro. great shots, and an informative post. cilantro is my favorite garnish, love the aroma and flavor. I love cilantro and use it in many of my recipes. The blooms on your cilantro is much different than mine... which are purple. Very beautiful macro pictures and useful information. A lovely flower with great benefits! Thanks for sharing! Interesting, I use coriander leaves and seeds all the time but have never seen the flowers nor fruit :). Thank you for sharing the beautiful photos at our party. Oh fabulous macros of the tiny flowers! Well done! I love adding coriander into my cooking for it's fragrance, especially for meat dish. This is the first time I seen a coriander flowers, so pretty. Wonderful macros...and thank you for the information! Your flaunt today is fantastic!!! I very much enjoyed it. It taught me a lot about a plant I knew not too much about! Thank you so much for linking in this week...I appreciate everyone who joins in. Hugs from Wainwright Alberta Canada! Great pictures, great information. I only know coriander from my spice drawer and would love to grow some in my garden! Yet another ancient 'medicine' is found to have several modern applications. Such a shame I hate it so! It's second only to cinnamon in my list of flavours I dislike intensely! Beautiful photography though, and I can at least enjoy the lovely flowers. Thanks for such useful info! Such pretty flowers too! 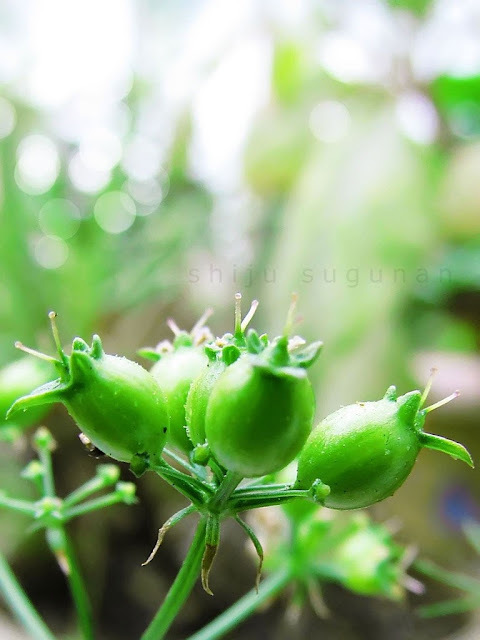 Beautiful flowers of the coriander! Do you know that the leaves are very commonly used for Mexican food? Hence I was surprised that it was also called Chinese parsley. gorgeous is all I can say and the detail. just amazing. Neat info, and wonderful pix! Thanks for being a faithful visitor to my weekly Wordless Wednesday (on Tuesday) party. Great close ups!! Boom & Gary of the Vermilon River, Canada. fantastic shots of a lovely herb..and seed. Lovely delicate shots and interesting information. How Beautiful! I wish you a great day! Thank you for visiting. I genuinely value the feedback I receive. If you can spare some time, let me know what you think. Subscribe and get every new post delivered to your Inbox. Cranium Bolts is the personal blog of Shiju Sugunan. He resides in Bangalore. Cranium Bolts mostly contains photos of his family and subjects of interest to him. As a person, Shiju likes travelling, reading, taking pictures and a bit of writing. He is an atheist. He loves watching engrossing movies and hates action and excessive emotions. He would like to apologize for referring to himself in the third person. Sometimes, he likes to be pretentious as a joke. But he is true to his roots. Why is the bird angry? Pictures displayed in this blog should not be copied or reproduced in any form without my written permission. If you are interested in using any picture, contact me.